"The Harsch Gärtopf is my absolute favorite pickling crock. Unlike most modern American crocks, the Gärtopf will not leak, absorb salt, or grow mold, because its German makers know how to make a glaze that stands up to decades of exposure to acid and salt. 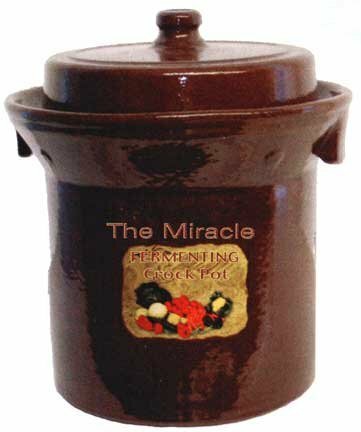 The crock has two other important features: ceramic weights that fit inside to keep vegetables submerged, and a water trough at the top that allows gases to escape while preventing yeast and mold spores from entering. This greatly increases the chance that you won’t have to skim your brine. Although I recommend the 10-liter size for most picklers, Canology offers eight sizes of Harsch crocks, ranging up to 50 liters (13.2 gallons)." Linda Ziedrich, renowned food preservation expert and author of The Joy of Pickling, The Joy of Jams, Jellies, and Other Sweet Preserves. 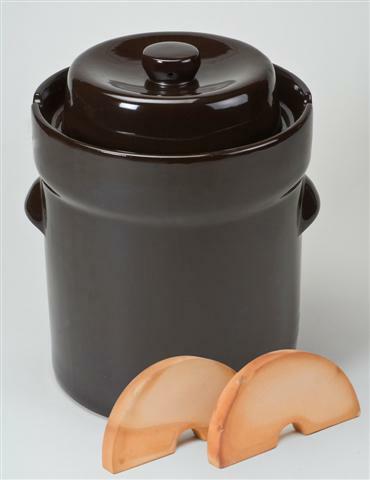 Unfortunately, Harsch Gärtopf discontinued the manufacture of their pickling crocks. 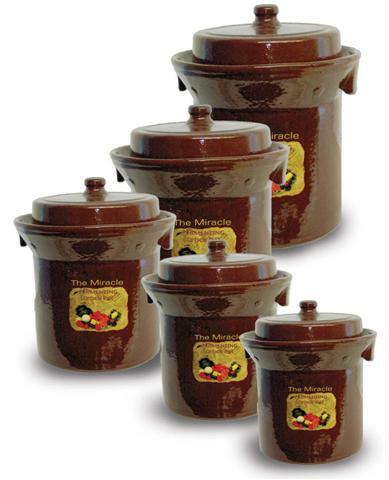 But we still feature the finest pickling crock pots available anywhere in the world.